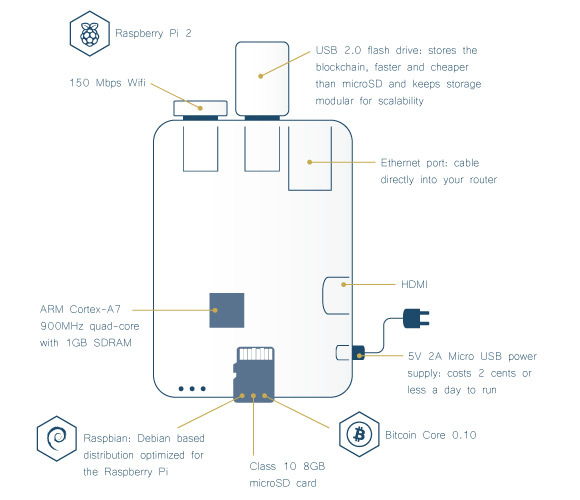 Raspnode is an interesting crowdfunding project on Kickstarter that wants to help people that would like to support the Bitcoin network by running a full node, but don’t want to burden their home computer and deal with the power costs and noise. The raspnode is a plug-n-play bitcoin full node the size of a mouse that runs without any noise and only costs a penny or two a day for power. The raspnode allows anyone to run a bitcoin full node 24/7. 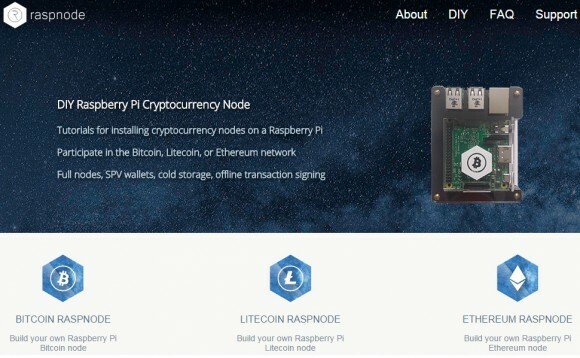 The raspnode can be used as a Bitcoin wallet, a developer node for either mainnet or testnet, or simply to support the network. The raspnode project has a $3000 USD goal and backers can just support the idea, or also get a USB flashd rive with the blockchain and/or an SD flash card to use along a RPi they already own. You can even get the whole package ready to be plugged in used for a $120 USD as an early bird or $135 USD as a regular backed when the limited early bird units are over. The official website has a DIY guide for everyone that wants to setup a full Bitcoin node with his own RPi hardware if you already have everything available. – For more details about the Raspnode crowdfunding project on Kickstarter….